The Andros Trail Race 2018, the 3rd Mountain Running Race was organized by Trekking Andros & Outdoor Activities and Andros KOINSEP. 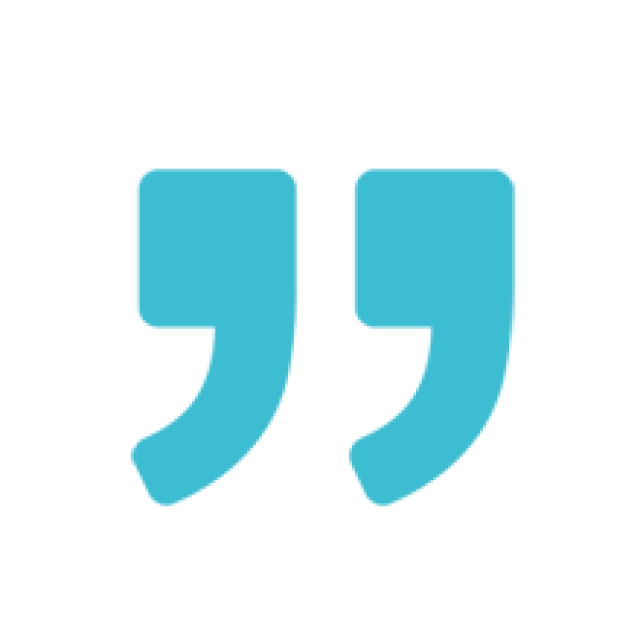 Co-organizers were the Municipality of Andros and the South Aegean Region. 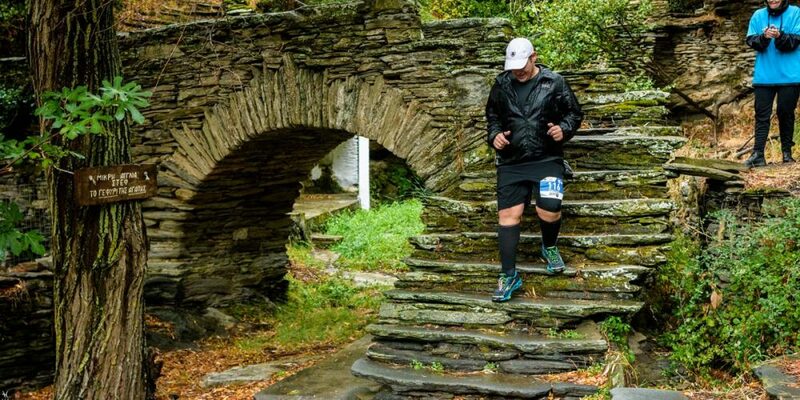 Despite the “Zorba” storm visit and the adverse weather conditions, Andros Trail Race was a great success. It took place on Saturday, 29 and Sunday, 30 September 2018 in the area of Korthi in Andros. 159 athletes from Greece and abroad, ran, walked and enjoyed the 5, 10 and 24 km routes. 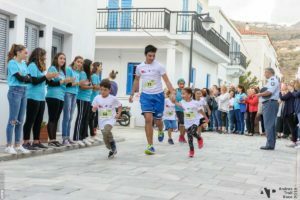 The first day of the Andros Trail Race included two events, five kilometres and one kilometre (“Kids”). On the second day, the 10 and 24 km races took place. The participants came in touch with breathtaking landscapes and cultural monuments of Andros. They met the hiking trails and found what makes the island unique. Last year’s athletes were more because of the turmoil caused by the bad weather. The adverse weather forecasts, changes and cancellations of ships have prevented a lot of people to come to the island. 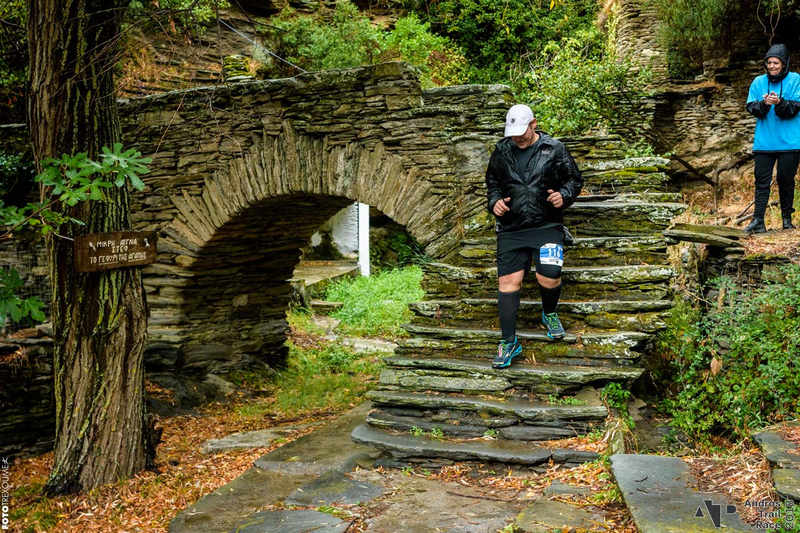 The issue of heavy weather reports that came to the organizers once in a while and possible difficulties did not hinder the normal running of the 3rd Andros Trail Race. Everyone believed in the race and gave their best. The organizers, volunteers, athletes who participated in the 3rd Mountain Race, showed their strong will. But it is not just about the race. On Saturday night we travelled with traditional music and the flavours of Andros. Handmade local products and dancing, at the pasta party that took place at Ormos Korthi Square. The success of Andros Trail Race makes it a great and important event. 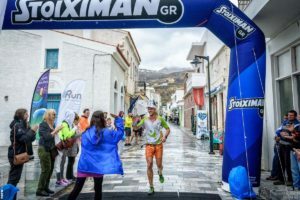 It is now a leading athletic happening for Andros and an important event for the Cyclades. A race that evolves every year, offering emotions in the beautiful scenery of the island. A race that promotes the certified Andros hiking network, as the first island in Europe with a European certification. On an amazing island … Andros.